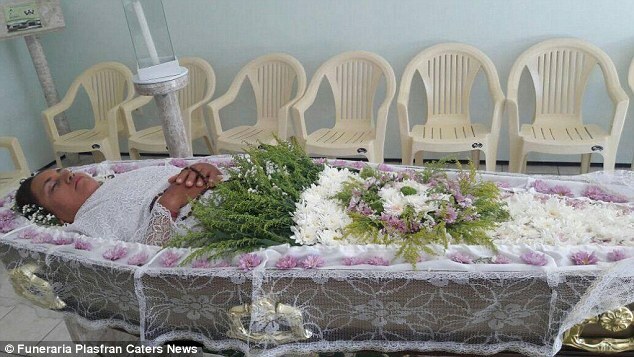 A woman has fulfilled an astonishing 14-year dream of holding her own funeral, while still alive. 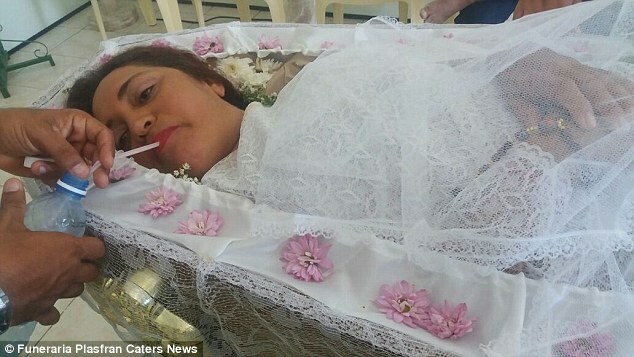 Vera Lucia da Silva, 44, arranged to carry out her bizarre wish to lie in a coffin all day while family and friends pretended she was dead. And she said it was 'the best day of her life'. 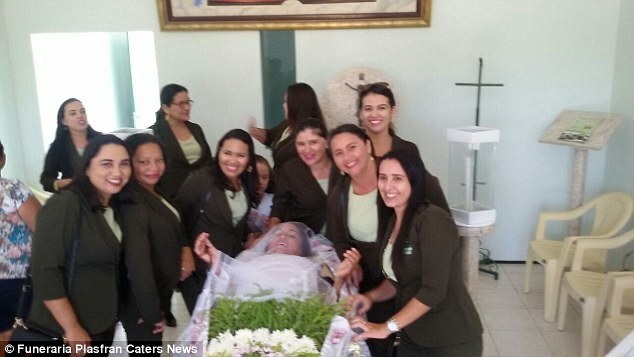 The extraordinary ceremony, which was held on the Day of the Dead celebration in South America on Wednesday, November 2, took place at a funeral home in Camocim, a seaside resort in north east Brazil. While her friends and family were against the idea, they dressed in black and visited throughout the day in a show of support. 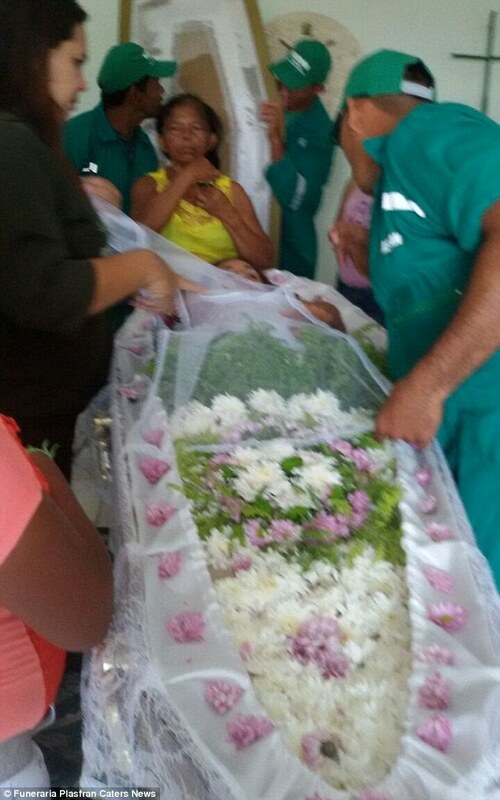 The owner of the Eternal Garden Funeral home, Paulo Araujo, donated the coffin and the space free to Vera, as a gesture of good will. In a video filmed on the day, Vera can be seen having her make-up done and enjoying the moment. She messes around opening and closing her eyes causing her friends to scream with horror and laughter as she pretends to be dead one moment and alive in the next. 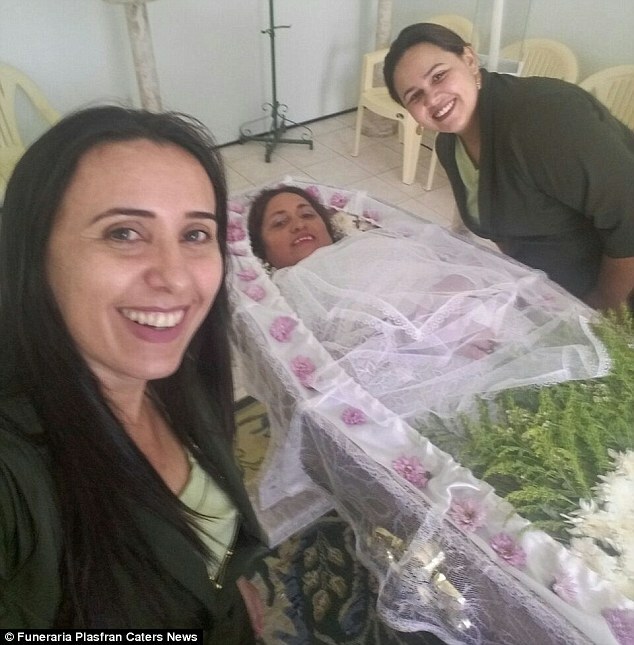 The married housewife, who doesn't have children, explained 'celebrating' her own funeral was an 'old dream' that she never thought would come true. But she was determined to do it before she passed away.